Ajith’s next Nerkonda Paarvai is announced to be released on August 10. It is the official remake of Pink directed by Vinoth.H which is produced by Boney Kapoor. It was earlier reported that the shooting for the film has been wrapped up. 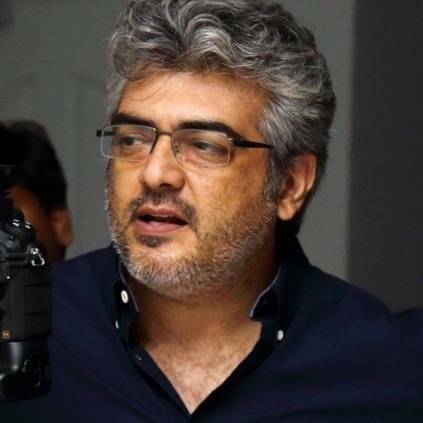 Producer Boney Kapoor seems to have seen Nerkonda Paarvai during its post production and has shared some interesting news about that and his future projects with Ajith. He has said,”What a performance by Ajith” and has also said that he wishes Ajith agrees to do Hindi films. He has also said that he has 3 action film scripts for Ajith and hopes Ajith agrees to do one of them. Nerkonda Paarvai stars Vidya Balan, Shraddha Srinath, Rangaraj Pandey and others. It has music by Yuvan Shankar Raja who is collaborating with Ajith after Arrambam. Nirav Shah is the film's cinematographer. People looking for online information on Ajith Kumar, Boney kapoor, H Vinoth, Nerkonda Paarvai will find this news story useful.